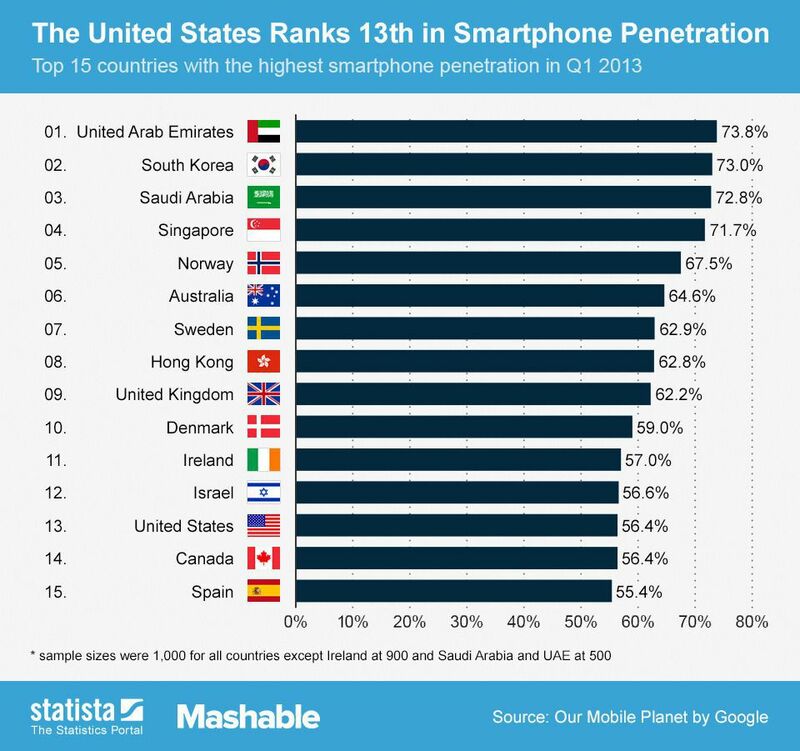 Over the past few years the amount of people using smartphones in Singapore have increased.In 2013 Singapore was ranked the top 4 country for smartphone market penetration. (as stated by : the Link) From there we can also see that 71.7% of the people in Singapore uses smartphones. Singaporeans tend to use their phones while on the move. (supported by : the Link) An example from the link is that 74% of people say they use mobile web when they are “outside”. Take note that the link shows that the people use mobile web and not normal usage. As most smartphones rely on 3G connection, it can be inferred that they will use 3G to access mobile web.This can lead to a faster draining of phone battery as 3G uses up battery faster. “2G (original GSM) was deliberately designed to be very power-efficient only for low-data rate voice services. 3G was designed to be more spectrally efficient and to deliver higher-rate data services, but at the expense of using more power. 4G offers far faster data rates and is more spectrally efficient, but draws even more power.”As quoted from the following site it proves that 3G drains a lot of the smartphone’s power. Power banks not being powerful enough to charge the phone multiple times. Encouraging people especially office workers to take detours when they are free so that they will be more healthier when they go to work. Encouraging people to go green as with our charger they would not need to use the socket to charge their phones. Because as the charger is attached to the shoes,the user does not need to use up the space in pockets or bags hence making it easy to carry around.By having a small and light charger people would not have problem walking around with it on their way to work.It is powerful because you can recharge it as many times as you want as long as you are walking,thus solving problems 1 & 2. 1) One alternative for our project is a solar power charger.The solar charger employs solar energy to supply electricity to devices or charge batteries. They are generally portable. Solar chargers can charge lead acid or Ni-Cd battery bank up to 48 V and hundreds of ampere-hours (up to 400 Ah) capacity. For such type of solar chargers, generally intelligent charge controllers are used. A series of solar cell array plates are installed separately on roof top and can be connected to battery bank. Solar chargers today use various types of solar panels, ranging from the inefficient thin film panels with 10% efficiency or less, to the much more efficient mono crystalline panels which offer efficiencies up to 19%. The solar charger is not efficient enough as it is not reliable as there will not always be sunlight everyday and the chargers take a long time to charge even with the sunlight around. 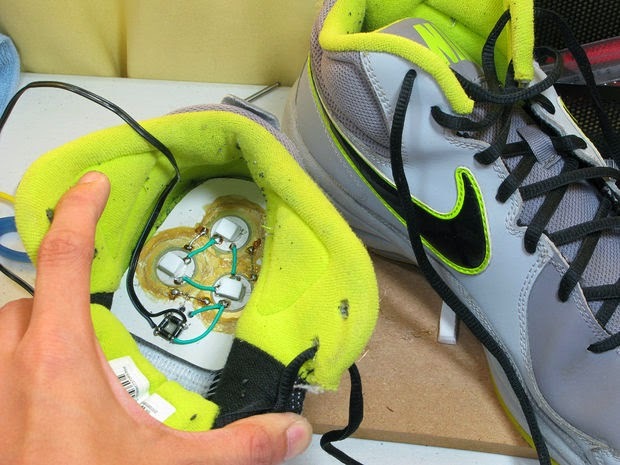 2) We can use potatoes in the shoe to charge the phone. 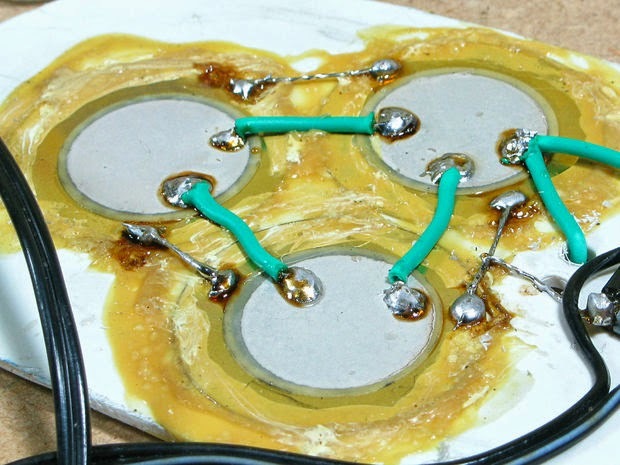 Inserting zinc into potato slices in the shoes will work if we connect it the USB cable to it, since the wire is made out of copper. The zinc will be slowly eaten away by the phosphoric acid in the potato, releasing the zinc electrons to join the hydrogen ions to create hydrogen gas. Electrons in the copper wire in the cable will get to the zinc and voila! However, it is not feasible as the potato will rot and the energy that will be produced will be too low. 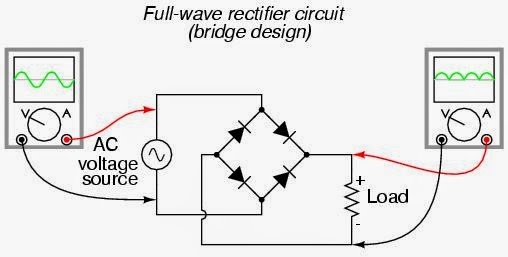 3) Another alternative for our project is a bike-powered generator. Now, there are other bike-powered generators out there. The most common (and cheapest) type is known as a bottle cap generator. It's essentially a contraption that is mounted to your frame or seat-post and has a little bottle cap-like wheel that is spun by your spinning tire. They are, however, not super reliable, as it's pretty easy for the cap to become disengaged with the wheel. They also aren't particularly efficient—they typically hover around 50 percent efficiency, with some high-end models claiming as much as 70 percent. We cannot use this project as it will take quite some time to build and is much more advanced than our current project. Our final Idea that we chose was to make a charger by putting the piezoelectric disc in the shoe will that generate power when walking.Piezoelectricity was present ever since mid-18th century. 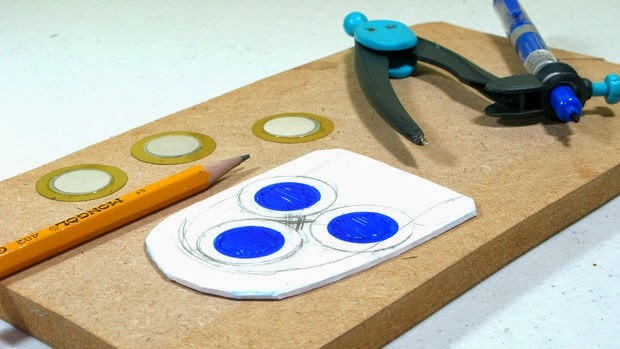 Piezoelectricity is the electric charge that accumulates in certain solid materials (such as crystals, certain ceramics in response to applied mechanical stress. You can actually find those piezo elements in your old/ outdated earphones from the 90's. Our reason for this choice is that the materials are easily obtainable and it is more reliable in a sense that as long as you are walking there will be electricity being produced. 1)Measure the Sole of the user by taking out the sole of the shoe. 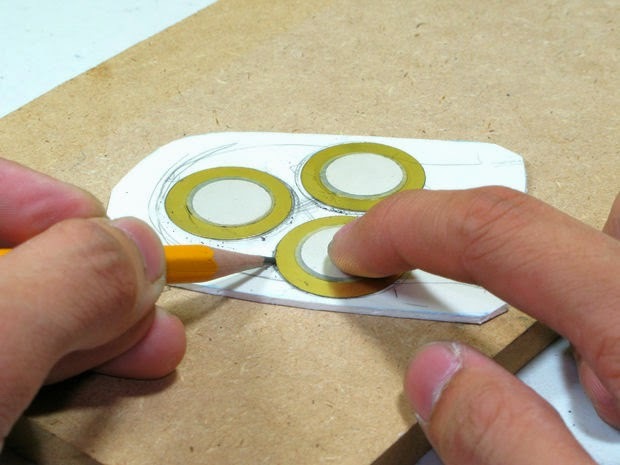 3)Trace out the out line of the piezo discs on the PVC material. 4)Using the compass draws a circle with a radius that is 2mm smaller than that of the piezo discs outline. 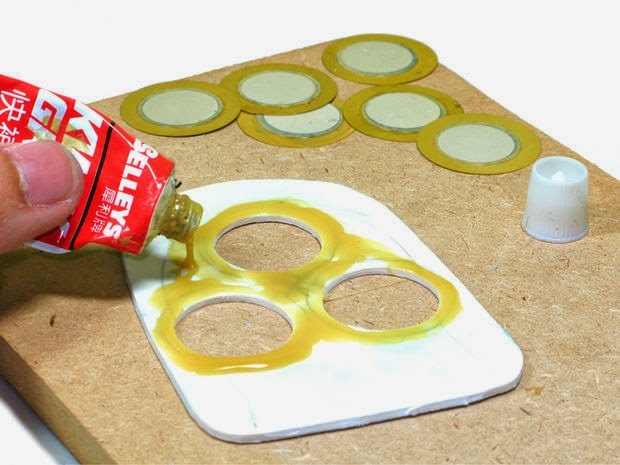 5) Drill out the smaller circles. 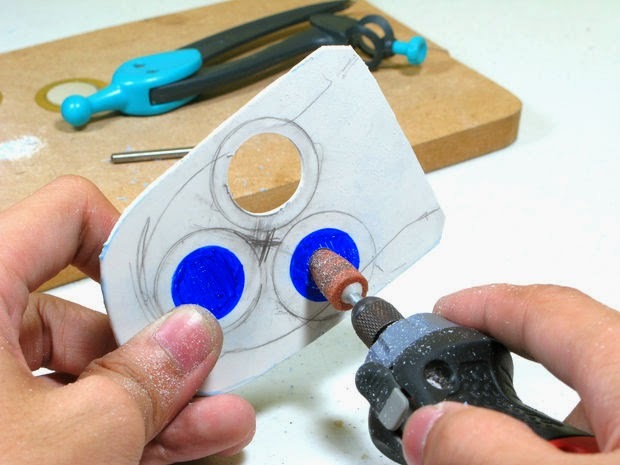 6)Apply quick setting contact adhesives around the edges of the holes. 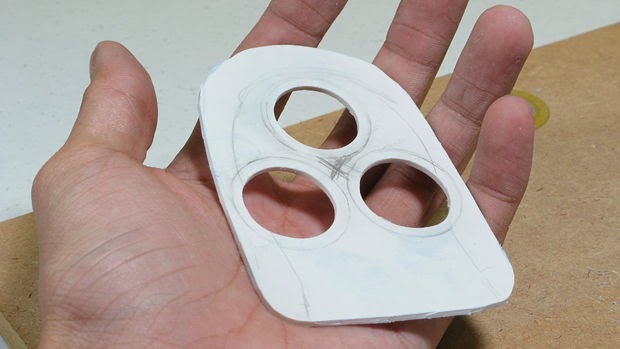 7)Paste the discs over the holes ensuring that they fit the outline. 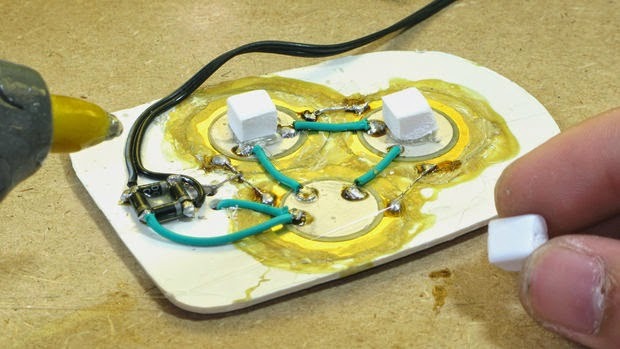 11)Glue foam pushers on top of the piezo discs. 12)Place the insole back into the shoe. 13)Repeat the above steps for the other shoe. 14)Walk around using the shoes for a day to see how much of the phone can be charged using it. 15)Keep checking the indicator on the charger every hour to see the amount that was charged. 16)Determine the amount of time spent walking needed to charge the power bank. x17)From the results we can decide if more piezo discs are needed for the shoe. • Risk and Safety: Identify any potential risks and safety precautions to be taken. 1. As this experiment involves drilling, take caution when using the drill so that the drill is always facing away from the body. 2. 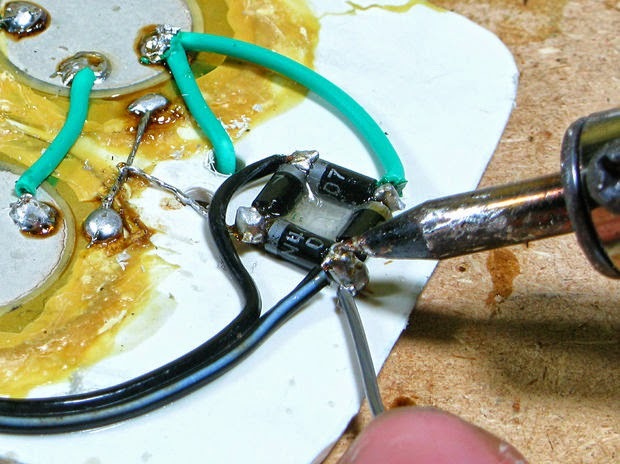 As the experiment involves soldering, take caution so that the user will not get burnt. 2. Keep checking the indicator on the charger every hour to see the amount that was charged. 3. Determine the amount of time spent walking needed to charge the power bank. 4. From the results we can decide if more piezo discs are needed for the shoe.